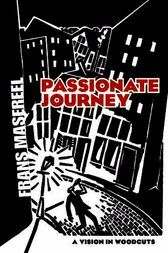 Belgian-born Frans Masereel (1889–1972) was one of the greatest woodcut artists of the twentieth century. Ingeniously portraying the human experience through dramatic art, this novel-without-words — crafted from 167 intricate woodcuts — is considered to be the Flemish artist's masterpiece. A feast for the eyes and the imagination, this powerful visual narrative details the life of an ordinary man. From the first bustling frame to the last haunting image, we are deeply drawn into the hero's day-to-day encounters, and discover a spirit in quest — one that we can profoundly relate to, emotionally and intellectually. Through each extraordinarily vivid depiction, readers feel the hero's happiness, grief, awe, and despair.